Outdoor activities are lined up in the next 3 months and as the summer is fast approaching, I should be ready this time to avoid the skin damages on my face I had last year after spending a wonderful family vacation in Bohol. I heard about Photoaging only last month after my initial consultation with Dra. Kyla Talens of Skin Philosophie. Photoaging is attributed to continuous, long-term exposure to harmful rays of the sun. Dr Kyla stressed the importance of sunblock with at least an SPF 50 to protect my skin from the harmful UV rays. I am not really a fan of beauty products and just by hearing the word "sunblock", I thought that she will prescribe me a lotion or cream based sunblock that I need to apply on my face regularly. I have an oily face and I am not really sure if this will help me or it may just be another lotion or cream available in the market which makes you feel oily. To my surprise, she introduced me to Heliocare Oil-Free Compact SPF50. It's actually a make-up foundation and sun protection all in one. Designed for oily and blemish-prone skins like mine, it evens out the skin tone but dries matte to ensure that skin never looks greasy which I really love. The Heliocare Oil-Free Compact SPF50 can be used alone or in conjunction with your other make-up products. 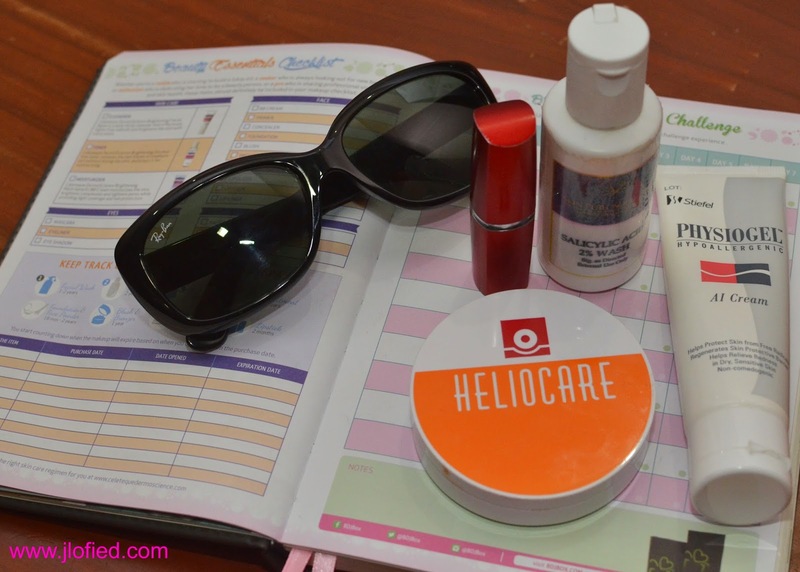 I am using my Heliocare Oil-Free Compact SPF50 as my foundation and I rarely use my pressed powder because it already leaves my skin looking fresh and natural. The Heliocare Oil-Free Compact SPF50 is ultra-smooth, oil-free and non-comedogenic. "Noncomedogenic", sounds too scientific to me. I heard Dr. Kyla used this word several times during our consultation and so I made a research. Noncomedogenic is a term applied to oils, lotions, and skin care products that do not block pores. Now I got her point, this kind of product will reduce the incidence of pimples because it do not clog the pores unlike others. Dr. Kyla advised me to apply in the morning to complete my usual skincare routine and to re-apply every hour during periods of high sun exposure. The 10gm Oil-Free Compact comes in two tones - Fair and Light. I really like this product because it saves me time and money. I highly recommend it and I will buy again, which reminds me to re-order now. If you want to arrange a free consultation session with Dr. Kyla Talens, just fill up this form and it will be emailed to you. Disclaimer : JLofied.com is an accredited Online Lead Generator for Skin Philosophie Skin Care Programs.